A list of 100 sustainable companies operating in Vietnam were honored at a ceremony, held in Hanoi on November 22, in the presence of Deputy Prime Minister Vuong Dinh Hue. 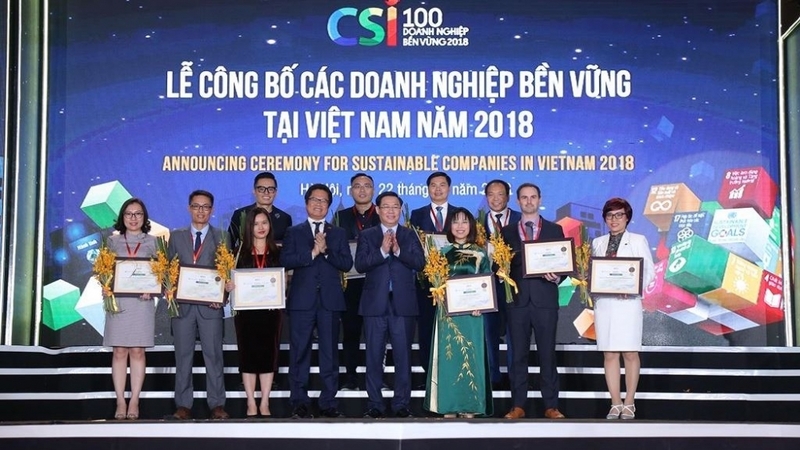 The 100 companies were selected from nearly 500 companies in the areas of production, trade and services which meet the Corporate Sustainability Index (CSI) developed by the Vietnam Chamber of Commerce and Industry (VCCI). Several companies head the list of sustainable companies in 2018 including the real estate company NovaLand, Thu Duc Housing Development Corporation, Swiss Post Solution Ltd, Tin Nghia Corporation, Sai Gon Thuong Tin, Bao Viet Security, Loscom Vietnam, among others. 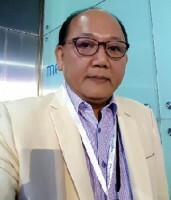 Deputy PM Vuong Dinh Hue spoke highly of the VCCI's initiative, in coordination with the Ministry of Natural Resources and Environment and the Ministry of Labour, Invalids and Social Affairs, to build and announce the index of sustainable development with 131 indicators in order to praise typical firms with sustainable development. He expressed his wish that the Vietnamese business community, regardless of their scale and nationality,should strive together for the sustainable economic development target. 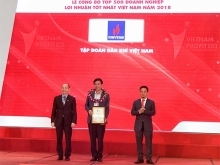 VCCI Chairman Vu Tien Loc said that over the past three years, the awards honoring sustainable firms have motivated and encouraged the Vietnamese business community to materialise the 17 targets on sustainable development. Chairman Loc emphasised that VCCI hopes the business community will change their mindsregarding doing business towards sustainable development, which is an inevitable requirement of development.